Forth Temple is based in New Zealand and specialises in computer vision for the iPhone. Specifically being developed is software to help the visually impaired with the Blind Foundation and Victa. The technlogy is built upon 'Deep Learning', a new technology that allows the building of neural networks with similar performance to the human brain. Anything that the brain can do so to can 'Deep Learning' such as image classification, sound classification, movement. 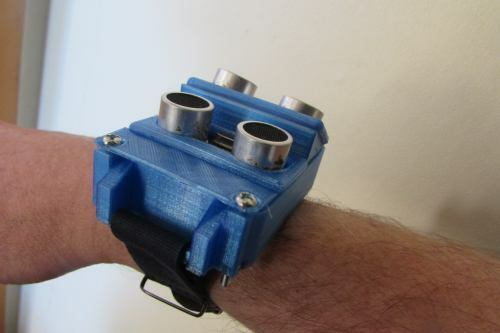 Obvoider is a low cost obstacle avoidance watch the buzzes depending on how close an object is. Help visually impaired people find lost items like keys, glasses, smartphone etc. Get it for free on iTunes. For more information click here. Help visually impaired people determine what is on their plate including peas, carrot, potato, meat, gravy, fish, chips, lemon, foil and gravy. Help visually impaired people determine what is in their wallet such as $5, $10, $20 notes and VISA and Mastercard credit cards. Also developed app that changes your iPhone phone to show cubism real time.